That'll Say YES to YOU! Bad credit auto loans can oftentimes be very frustrating for consumers with credit issues. 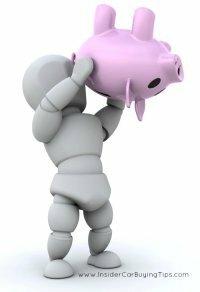 It may seem like the auto lenders piggy banks have dried up and there is nobody willing to give you a loan. Today's economy certainly hasn't helped matters, but that does not mean all hope is lost. Bad credit auto lenders are standing by and eagerly waiting to loan YOU money. You just need to know what makes them say YES and where to find them. There are however some limitations you'll need to be aware of and some rules of the road to follow in order to simplify the approval process and fund your auto loan. Don't worry though, it's not that difficult. There are nationwide lenders that specialize in subprime auto loans and they'll absolutely 100% guarantee your approval no matter how bad your credit! Bankruptcy has become fairly common in recent years and many lenders have now created loan programs for consumers buying a car after bankruptcy. All you'll need to do is learn what to expect and what it takes to get approved. Here is a question from a visitor that had a prior repossession and she was looking for a little guidance. Read Repossession Loan to learn what to expect and some things that make an approval easier to get with better terms. Funding Your Auto Loan is an oftentimes overlooked part of the process, but your approval doesn't mean much if your loan doesn't get funded. Follow the link above to learn what lenders will require to fund bad credit auto loans. Here I've put together a review of 7 Top Bad Credit Auto Lenders and 3 key factors to their approvals. This will help you to get a better understanding of what some of the top subprime auto lenders look for to approve loans. You may also want to use one of my Car Payment Calculators to see how much car you can comfortably afford. Simply fill out any one of these secure loan applications and depending on the time of day a special finance loan specialist in your local area will be in touch shortly to discuss the details of your new auto loan. All loan applications are processed through Funding Way (a subsidiary of Auto Credit Express, very big). They have closed over 1 Billion Dollars in online auto loans. Told you they were big! Many dealerships across the country advertise to customers in search of bad credit auto loans and lead these customers to believe they can offer a solution for subprime auto loans. That may know someone with good credit that will buy the car for them. In other words, these dealerships specialize in bad credit advertising, but not bad credit auto loan approvals. I've found that the majority of car dealerships across the country seem to have little to no interest in truly helping people with really bad credit, no credit, no money down, etc. This can be very discouraging for you if you have some credit issues, but do not worry, because there are lenders (even in this economy) that will loan you money for a car. Before you invest a bunch of your time working with a dealership, you'll want to ask a few questions to be sure that they specialize in no credit and bad credit auto loans. The size of the dealership does not always mean they will be more capable of helping you. In fact, I know several large dealerships that have very limited resources and skills to help consumers in need of these types of loans. Do you have a special finance department? What you are really looking to find out here is if they have designated a specific department within the dealership to handle only no credit and bad credit auto loans. If they do not have a special finance department, that does not mean they won't be able to help you, but the next questions will become more important. Do you buy vehicles specifically for special finance? If a dealership is really serious about helping customers in tough credit situations, then they will buy inventory that caters to your wants/needs and at that same time allows them to structure loans that work for the lender. If they don't buy vehicles specifically for these types of loans, they may still be able to help, but your options may be limited. Do you work with any one or more of these lenders? If the dealership is not working with at least one, preferably more, of these lenders, then they probably don't take no credit and bad credit auto loans very serious. It is unlikely they will be able to help you if you are in a really bad credit situation, unless they can answer yes to question 4. Do you offer in house financing? When a dealer offers in house financing they are considered a buy here pay here. These are usually the last option you'd want to consider as the terms offered are usually not the friendliest. Expect to have a decent down payment (the more down the nicer car you can buy), high rate, no negotiating price, short finance terms (can mean higher payment), older cars with higher miles.